As part of a programme of activities marking World Mental Health Day 2017 this October, a poetry event is to be held at Margate’s Turner Contemporary on Sunday 15th October. Hosted by SpeakUp CIC, an independent mental health support group serving East Kent, ‘Listen Up’ will aim to provide greater awareness of mental health through the power of poetry and performance. The event will be formally opened by the Mayor of Margate, Cllr Rosamund Dixon, and will feature established Kent-based poets, alongside poetry readings from SpeakUp CIC members who have found poetry a vitally important way of expressing themselves and nurturing their creativity, as well as being hugely beneficial for their overall mental well-being. World Mental Health Day 2017 takes place on Tuesday 10th October this year. The event at the Turner Contemporary will be the culmination of a week-long programme of activities by SpeakUp CIC across its local groups in Margate, Ashford and Dover – including writing workshops, performance workshops and other events. Crowflies Communications is a PR partnership between Darren Johnson and Tracy Dighton. They have a combined forty years experience supporting campaign organisations, community groups, charities, music the arts and small businesses with their publicity and promotion. 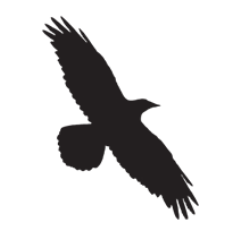 Crowflies Communications is a PR partnership between Darren Johnson and Tracy Dighton. They have a combined forty years experience supporting campaign organisations, community groups, charities and small businesses with their publicity and promotion.